Dive into the eternal ice. 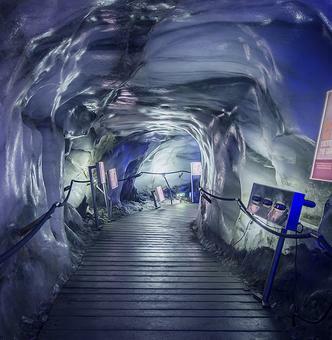 The new ice grotto at almost 3,000 metres ensures intensive moments in the eternal ice. 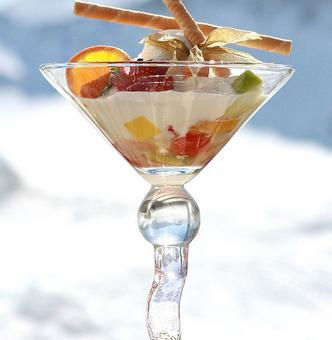 Daily you can enjoy freshly prepared regional delights near the Eisgrat mountain station at an altitude of 2,900m. 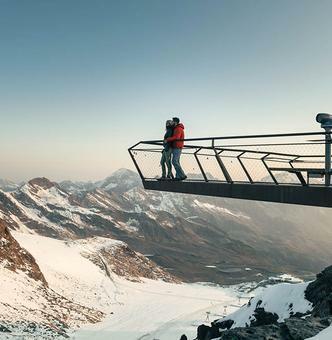 Beautiful view of the Alpine mountain world from an altitude of 3,210m.